SAY HELLO TO THE NUMBER FUN PHILIPPINE GAMING PODCAST! 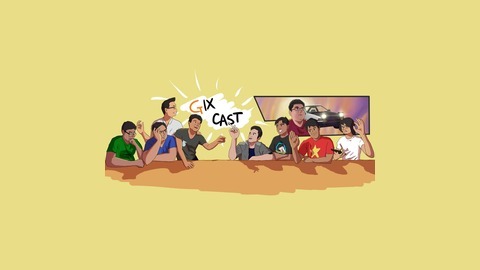 Gixcast is a weekly podcast by Filipino gamers who just love gaming and all that good geek stuff. (Pssst! Dont worry we speak in english). 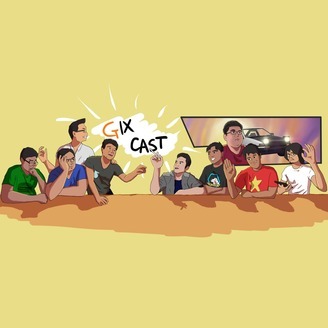 Videogames, Movies, Anime, Tv Shows, Plays, Our little slices of regrets, Nothing is off limits in Gixcast! Feel free to talk or ask questions at gix9gaming@gmail.com. Please do else we dive in the shame pile of Ask Reddit Questions. Feel free to comment on our quality as we only strive to improve! Like us at www.facebook.com/GIX9Gaming to stay up to date with whatever we'll do from now on. Thank you to everyone who supported us along the way.